The 2018 Christmas Cross Camp was judged a complete success by both athletes and staff. The Christmas Cross Camp is an annual European project that helps riders prepare for the Cyclo-cross World Championships, this year to be held in Bogense, Denmark at the end of January. Twelve athletes in the Elite, Under-23 and Junior categories went to Belgium to compete in five races, including two World Cups, between December 23rd and January 1st. 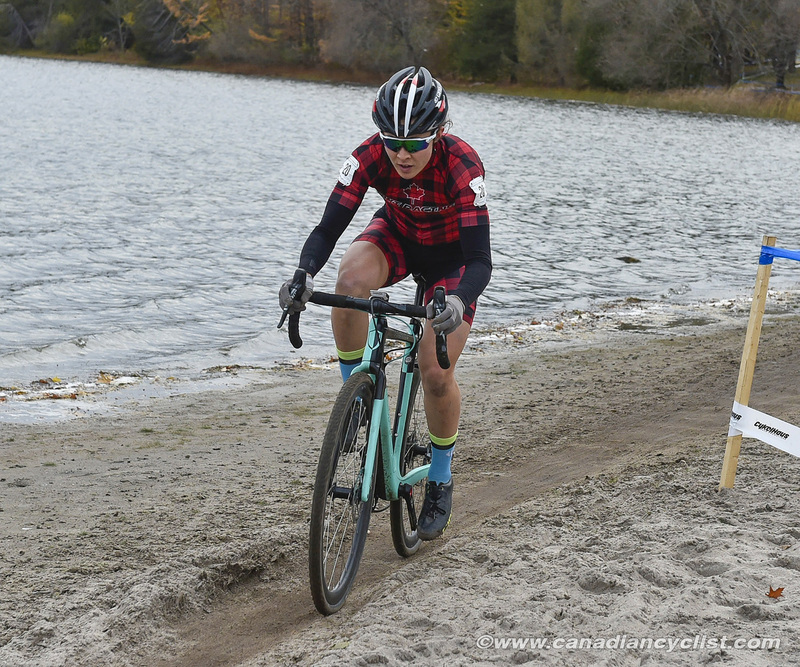 Among the highlights were Elite woman Jenn Jackson finishing tenth at the GP Sven Nys, with Under-23 national champion Ruby West finishing 15th in the same race, as the second Under-23 aged rider. Canadian Junior woman Magdeleine Vallieres Mill was sixth in DVV Trofee Azencross, the first standalone cyclo-cross race at this level for Junior women. Canadian Under-23 men's champion Gunnar Holmgren finished in the top-40 in both World Cup races, while Elite men's champion Michael van den Ham was 24th at DVV Trofee Azencross. "The Christmas Cross Camp this year was extremely successful on several different fronts," said Scott Kelly, project manager. "We had a ton of interest from our top athletes and it was amazing to have, for the first time ever, both of our Elite national champions and both of our Under-23 national champions racing in Europe during the Kerstperiode. It shows a commitment to improving their craft, and I think it's going to pay dividends this year at Worlds. Secondly, we had some great results, with the highlight being the final day in Baal, when Jenn Jackson rode to a great tenth place in the Elite Women's race. Ruby West also finished 15th and second U23, and Gunnar Holmgren battled for 11th in the men's U23 race. Finally, we had an amazing outpouring of financial support from the cycling community. That financial support allows a camp like this to take place and our program to continue to build. We're really excited about the momentum the program is carrying right now, and we're hoping to carry that momentum through to Worlds and into the next season." Jackson was extremely pleased with the project, saying "Christmas Cross has totally lived up to and exceeded all expectations I had coming into it. The team dynamic was positive and constructive; I learned so much in and out of racing. There was a great mix of experienced Elites with Michael van den Ham and Cam Jette, and sharp U23s like Gunnar Holmgren and Ruby West - it was awesome to have them and our staff for advice around race tactics, course nuances, and general bike-racing wisdom." "This was my first international race trip, so there was a lot to take in, but having such a supportive team and all-star staff looking out for me made it much easier to feel (and be!) ready to take on the World Cup and big Belgian C1's. I didn't have any performance standards for myself coming over for Christmas Cross, all I wanted was to test the waters of European racing, experience Belgian cyclo-cross, and to challenge myself to be a better racer. I think I got all of this and more, and I couldn't be much happier or more grateful to have had this opportunity and to share it with everyone here. It's been an incredible experience, and while I'm sort of sad that I won't be coming back over for the World Championships, I'm excited for how this will help me going forward to the mountain bike season and for cross next year." 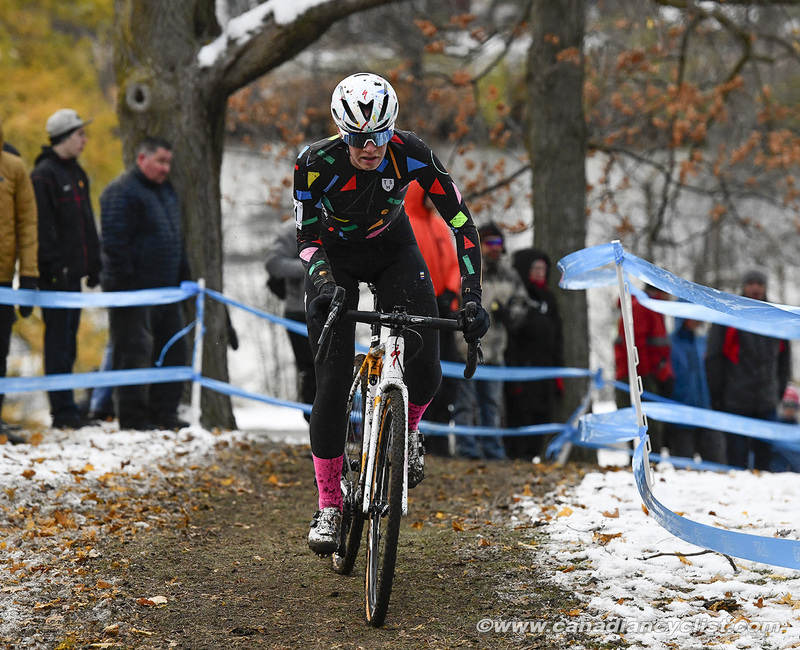 National Under-23 women's champion Ruby West echoed Jackson's comments, saying "The Christmas cross project was an incredible trip, it was a great chance to do a bunch of races in a short amount of time. The racing in Europe is another level of challenging in every aspect, from the courses, to the competition, to just the logistics of even just getting to a race in a foreign country." "The staff on this project have done an outstanding job at helping us in every way possible, so that all we have to worry about is racing our bikes (over and over again). Getting to race so many times over here has been a great learning opportunity as a rider, and will certainly help make us be more competitive in Europe. This racing trip has been the perfect lead up to the World Championships coming up in February." "The biggest and most constant challenge I faced in the races was traffic. Both Namur and Zolder [World Cups] had record-setting women's fields, which is amazing, but starting from the back few rows of 85+ rider fields forced me to not only race my hardest, but be really smart about how I could move up most efficiently. Namur was a real mud fest and a super gnarly track - it almost forces you to battle the course more than the riders around you. So being our opening race, and my first since Nationals a month ago, it lent well to staying chill and out of trouble in the opening laps, then turning it up and making moves in the second half once I had a gauge on how my body was reacting to racing again, and when everyone was getting tired. The plan went almost flawlessly, and I cut my start position in half to finish 33rd in my first World Cup." "Zolder was a completely contrasting course to Namur - fast, hard, and sandy. I went full gas from the start instead of easing into it, because traditionally people seem to finish close to where they were early in the race here, and [I] just did my best to hold position with the riders around me. I rode a few laps with Jolanda Neff mid-late race, which was super cool and I'm really proud that I not only decided to jump on her wheel, but that I was also able to hold it and even trade leads a few times. The circumstances of her being back in 28th with me because of a start crash aside, it was an eye-opening and encouraging experience for me to ride alongside the world's best." "The C1's were attended by almost all the same big World Cup hitters and probably even more spectators. The crowds in Loenhout and Diegem were insane, the culture shock of how big cyclo-cross really is in Belgium didn't hit me until I heard there was in the neighbourhood of 10,000 people out for the night in Diegem. I struggled a bit in Loenhout, the sigh of relief after racing so well at the World Cups left me sort of deflated and unfocussed, which led to less-than a best effort and an unexpected crash that left me kind of shaken up. I bounced back from it really well for Diegem and the GP Sven Nys in Baal, though. Placing 22nd in Diegem in front of huge crowds on a rad city-course and winning a sprint finish from behind gave me some confidence and positive energy." "The GP Sven Nys course was probably the best all-round CX track we had here, plus it was proper muddy cross conditions. I can't pinpoint just what led to landing tenth in the first big Belgian C1 of 2019, but I know the culmination of race awareness, appropriate competitive energy, familiarity working with staff to have bikes dialled, consistent time on my cyclo-cross bike, and having just enough confidence to keep chasing wheels and not question "can I do this? ", were all part of it."